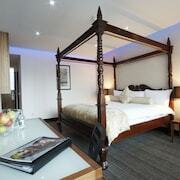 Fantastic stay at the River Lee - wish we had been there more than 1 night! 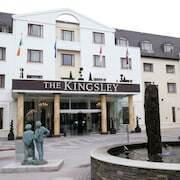 The staff was excellent, especially the check-in with Aoife (pardon my spelling) - she was full of great information about the hotel and area. The hotel is very modern feeling, clean and overall impressive. We had a drink and dinner at the River Club and the food was fantastic - the marketplate appetizer sourced from the local English Market is a must try. Overall the amenities were excellent, and one thing to call out is the 5th floor lounge for those with access - it has a great view and complimentary snacks, drinks and coffee/tea. This was a fantastic extra and worth having access to. No complaints except that it was a bit difficult to locate from the street as the only marking is on a side wall entering a lane. Where to find Cork City Centre hotels near an airport? How can I find hotels in different Cork City Centre neighborhoods? Where can I find hotels in Cork City Centre that are near tourist attractions? If you're planning a vacation in Cork and you're looking to book a hotel in Cork City Centre, you'll find a comprehensive assortment to choose from. Spend some time looking through our 40 hotel listings, which are all within a 0.1-kilometre (0.06-mile) radius of downtown Cork City Centre. Clever travelers who appreciate the convenience of booking accommodation close to the action and bright lights of the city's heart should check out the latest deals at the Imperial Hotel and Clarion Hotel Cork, which are located within 1 kilometre (0.6 miles) of Cork City Centre's downtown. Expedia's list of accommodation offers just a few no-frills hotels in Cork City Centre. The Jurys Inn Cork is one such listing. You could check out the Hayfield Manor and also the Perryville House. The Hayfield Manor is located 1 kilometre (1 mile) away from the main part of Cork City Centre. The Perryville House, is 20 kilometres (13 miles) away. 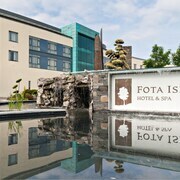 Some other alternatives worth checking out include the Fota Island Hotel & Spa and the Longueville House. 14 kilometres (9 miles) away from Cork City Centre is Cobh, where you can spend the day visiting Cobh Heritage Centre and Cobh Cathedral. Cobh hotels include the WatersEdge Hotel and Bella Vista Hotel & Self Catering Suites. 20 kilometres (14 miles) to the south of Cork City Centre, is Kinsale Town Centre, which is home to the Actons Hotel and The White Lady Hotel. The Saint Multose Church and Kinsale Regional Museum and Courthouse are a couple of the most popular attractions to check out for those visiting Kinsale Town Centre. Consider spending an afternoon cheering along with Cork sports obsessives at a local sporting fixture. You'll find Thomond Park 85 kilometres (54 miles) to the north of Cork City Centre. Stay right near the action at the No. 1 Pery Square Hotel & Spa or the The Savoy Hotel. 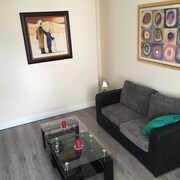 Situated 6 kilometres (3 miles) from Cork City Centre is Cork Airport. Stay nearby at The Cork International Hotel or Cork Airport Hotel. What are the most popular Cork City Centre hotels? Are there hotels in other cities near Cork City Centre? 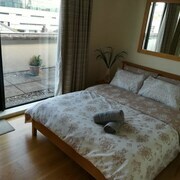 What other types of accommodations are available in Cork City Centre? Explore Cork City Centre with Expedia.ca’s Travel Guides to find the best flights, cars, holiday packages and more!